Necrophobic had managed to slide into a slot on the “controversial” side of things when Tobbe Sidegård’s domestic issues caused quite a few waves in 2013, but any naysayers that were predicting the band’s doom from there on were quickly silenced with Womb of Lilithu, which could not quite reach Death to All, but definitely showed far more than most fans would have expected. That being said, the band took their sweet time to return to the fold with Mark of the Necrogram (even though to be honest, they have never been a band to churn out a new longplayer every year) and they are once more proving that they are definitely still a force to be reckoned with. One thing right off the bat, no, they have not spectacularly changed their sound or added any new elements to it, but there are some bands that do not need to while maintaining an amazingly high level of musicianship and songwriting while equally successfully managing to avoid stagnation. 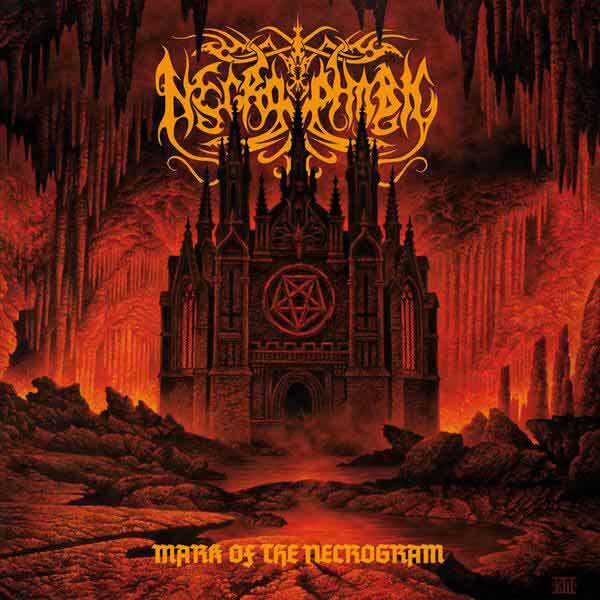 And even within the context of albums such as Hrimthursum or Death to All, Mark of the Necrogram is a blackened death metal feast that should be able to satiate the hunger of their faithful followers. One thing that Necrophobic always have had on their side was a knack for high accessibility without going all out on the cheap hooks or clean vocals etc and this is no different on this album. Point in case is “Tsar Bomba” which is some of the catchiest black/death one will find not just this year. It is rare that lyrics in this style are intelligible and there even is a hint of melody in them and combined with great dynamics and an awesome guitar melody and this could be a definitive gateway song for some. But this does not mean that the Swedes have “sold out”, which is such a lovely phrase to be thrown around, because they still maintain a very high level of dynamics, sharpness and variety that balances the catchiness of their songs, so it is not a break of character. The opening title track, for example, unites blastbeats and double-bass for a wonderful display of power, with venomous vocals and great guitar leads, summing up Necrophobic’s sound almost perfectly. That being said, Mark of the Necrogram is not a one-trick pony by any means, where “Lamashtu” and epic “Requiem for a Dying Sun” project a darker atmosphere, “Crown of Horns” sees a far more aggressive and fast side of the band and it does not get much more varied than “Pesta” that inserts a slow, brooding passages within its blastbeat and double-bass frenzy for great effect. 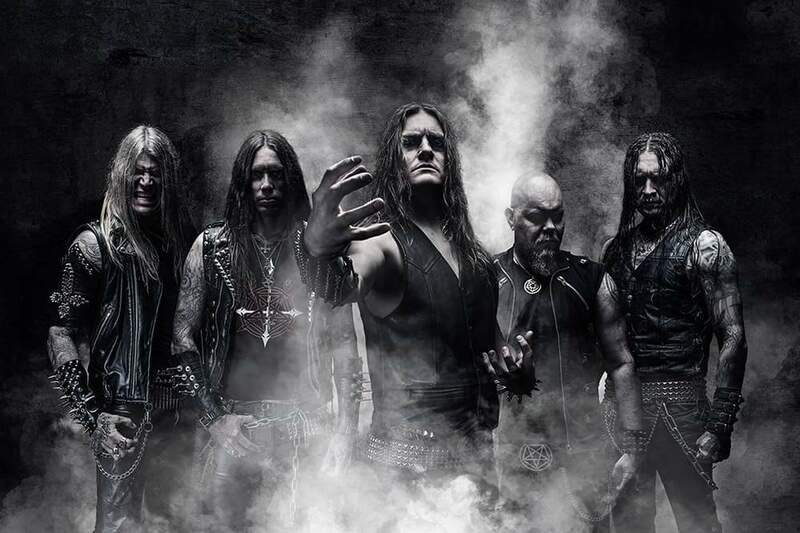 Detractors will undoubtedly call for Necrophobic’s heads due to the catchiness of, for example, “Tsar Bomba”, but within the context of the whole album it all paints a very varied yet cohesive scenery that clearly showcases the strengths of the Swedes’ songwriting. Mark of the Necrogram, as it stands, is a great continuation of the band’s already high quality back catalogue and their genre colleagues will be hard pressed to match this output! This entry was posted in Black Metal, Death Metal, Featured Review, Reviews and tagged 2018, 9, black metal, century media, Death Metal, featured, necrophobic, stockholm, Sweden. Bloody well said, Alex! This is one of my top 10 of 2018 for sure 🙂 The accessibility is definitely a winning factor. I was almost blown away by how familiar the songs became after only 2 listens. “Tsar Bomba” and the title-track are black anthems!